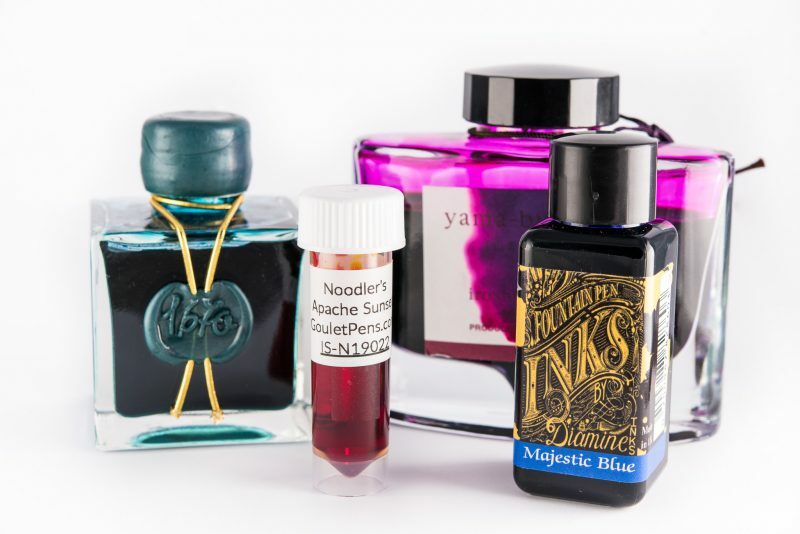 If you enjoy using vintage fountain pens, or any fountain pen that stores ink in a sac, you are probably very careful about what types of ink you use in those pens. They are typically more difficult to clean than a pen with a converter or piston fill mechanism. 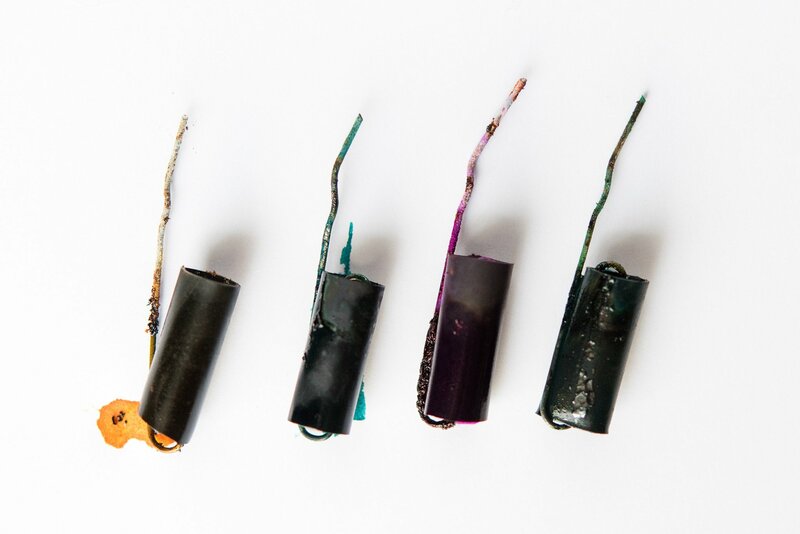 You might have also heard stories about ink sacs being destroyed by modern, high-saturation fountain pen inks. Is this true? Will a sac actually melt if you use the wrong ink in it? 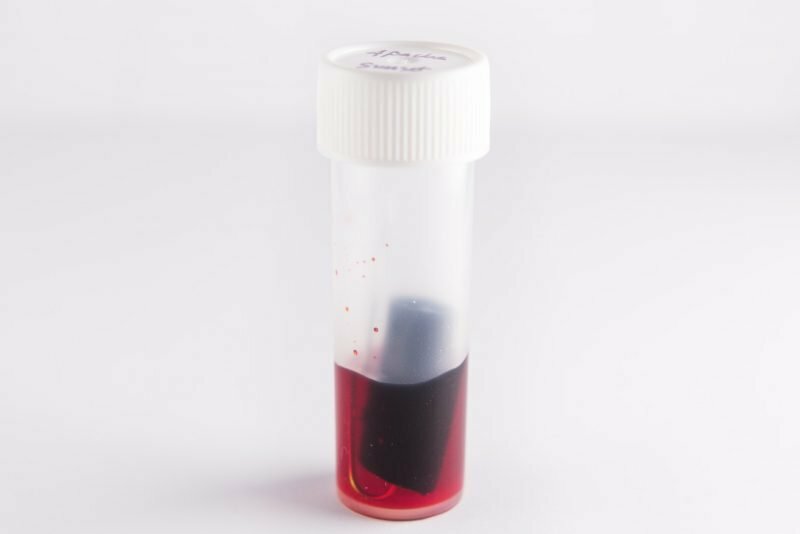 To get some answers, I decided to do a test and see what happens to fountain pen ink sacs when exposed to certain inks for extended periods of time. It doesn’t take much digging to find horror stories about people who used a particular ink in their fountain pen, only to find that it melted the ink sac. In pretty much every example, it was a vintage fountain pen and a modern, high-saturation ink. Even Richard Binder, a well-respected nib grinder and pen-repair expert, has significant experience and evidence that this happens. I don’t doubt that it happens. While I have used many different inks in many different pens with sacs and have never experienced a meltdown in over 20 years of fountain pen use, it obviously happens to some people. I wanted to see if I could recreate a sac meltdown for myself. While my test and methods are in no way very thorough or conclusive, they are still worth mentioning for anyone who might be curious. Also, I should make sure you know what an ink sac is. Basically, it’s a soft bladder that stores ink inside of a fountain pen (not to be confused with an ink cartridge). 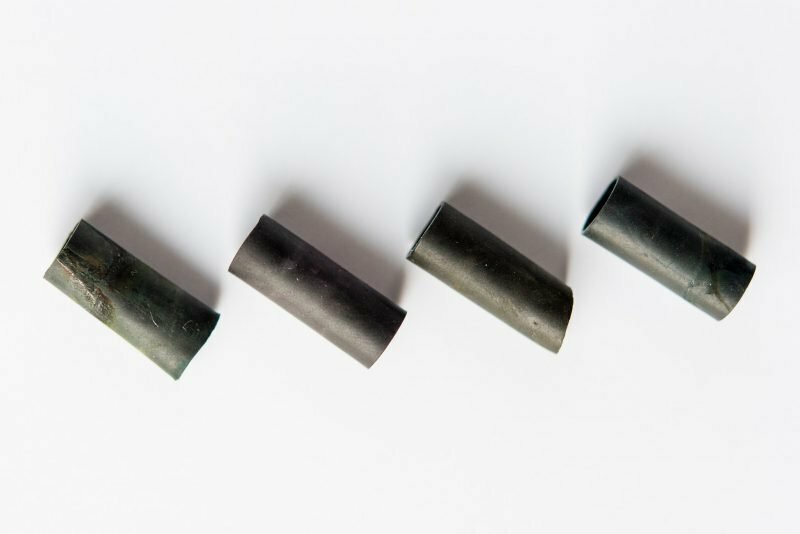 They’re typically found inside of almost every vintage fountain pen, but may be found in a few newer pens as well. If you’re still not sure what I’m talking about and want a photo, take a look at my visual glossary for fountain pens and scroll down to the word “sac”. In order to see if I could get ink to melt a sac, I needed two things: ink and an ink sac. Since I restore my own pens I had plenty of new ink sacs sitting around. I also have a good selection of fountain pens inks, but not just any ink would do for this test. According to Richard Binder, inks that are more alkaline are more likely to damage the sacs. Looking at his list of different ink pHs, I realized I had a few inks that were highly alkaline. Specifically, I had a bottle of Iroshizuku Yama-budo with a pH of 9.47 and a sample of Noodler’s Apache Sunset with a pH of 8.4. I also wanted to try out a few high-saturation inks just to see what happened, so I also used Diamine Majestic Blue and J. Herbin Emerald Of Chivor. Are these inks sac killers? I wanted to do a long-term test, so I added some ink to 5ml sample vials to prevent evaporation. I cut a new sac into four equally-sized pieces and hooked each one onto a paper clip. The paper clip was purely to make it easier to fish the sacs out of the ink. I submerged the sac 3/4 into the ink and let it sit. Periodically I would check each sac to see if anything had happened to it. Everything looked so clean and pristine before the experiment. Day 0: Filled the vials with ink and partially submerged the sacs. Week 1: No change to any of the sacs. Week 2: No change to any of the sacs. Week 3-6: No change to any of the sacs. …Week 20: No change to any of the sacs. Here is the sac sitting in a vial of Noodler’s Apache Sunset ink. As I write this I have had the sacs soaking in the ink samples for 7 months. Want to see how they look? They’re not pretty, but they’re not melted. Initially, I expected to see the sacs dripping off of the paper clips or just find a puddle of goo in the bottom of the vial, but that’s not what I found at all. Each sac was pliable and I was able to stretch each one without any ill-effects. Surprisingly, the paper clips are more damaged than the sacs themselves. Just to make sure everything was as it seemed, I washed off the sacs and took a good look at them. As I thought, they looked just fine. The sacs fared well and look pretty good after getting cleaned off. The paper clips didn’t fare nearly as well as the sacs did. So what’s going on here? 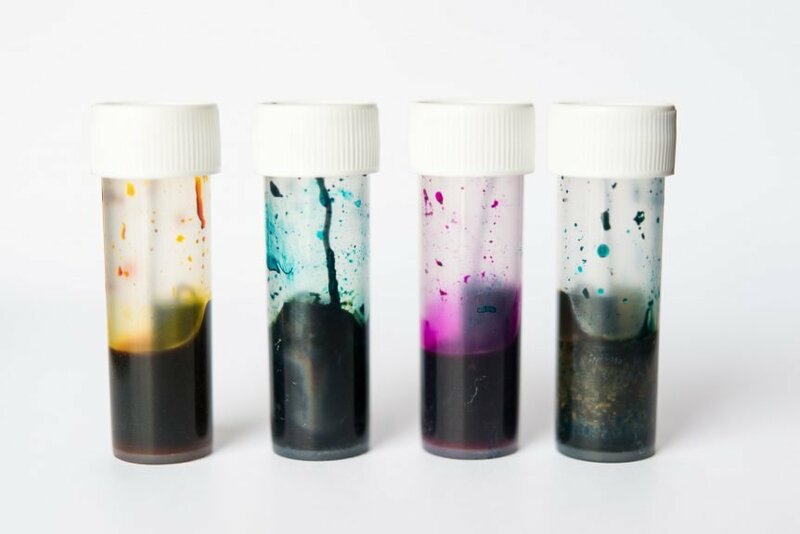 Is it safe to use these inks in pens with sacs? Based on these results, I would say yes, but I think there’s more to it than a simple yes or no. My main caveat is that I used a brand new sac for this test. Would the results have been different if I had used a vintage sac that was 50 years old? Maybe. What about a sac that I had replaced a few years ago? What if I had a new sac but from a different batch? What about different inks? There are lots of variables here that I didn’t test, but I think the important thing is that these sacs were not at all damaged by these inks. What’s that tell me? It’s not a foregone conclusion that you’re going to melt your sacs simply by using particular inks. While it is possible, it is not necessarily going to happen automatically or quickly. At the end of the day, you shouldn’t use any inks in your pens that you’re not comfortable with. This should go without saying. But you should also feel free to use any inks you want with your pens, as long as you know the potential risks that are involved. Personally, I wouldn’t use any “risky” inks in vintage fountain pens unless I knew that they had a new sac installed. Even then, I might choose not to use them, not out of fear for the sac, but simply because of the difficulty involved in cleaning highly-saturated inks out of particular pens. Ultimately it comes down to what your comfort level is and how much of a risk you want to take with your pens. Hello John. It took me to the end of the article to realise that you were refering to the rubber or plastic squeezy tubes permanently fixed to old pens and retro copies. There are many sites and on-line shops within shops, usually Chinese, which call ink cartridges “ink sacs”. Anyway, I understand now. I do have a handful of such pens made by Hero and Wing Sung which are reproductions of their vintage pens. They are fine because it’s a modern plastic sac not rubber ones. Thank goodness they didn’t get too authentic.I hate those old Parker designs. “Press Three Times”. However, I also have a load of 1960s Osmiroid with levers for filling, and that’s where I need to heed your advice. I need to read up on replacing the old rubber sacs. It’s not easy to open the pens. Hi Noel, thank you for saying something! I apologize and have added a paragraph to the beginning of the post explaining what an ink sac is. As for opening up old pens, patience is your most important tool, but you’ll also need to learn how to open your specific pen. Some were friction fit while others were threaded and will unscrew. Either way, they can crack if you’re not careful, so do some research and take it nice and slow. Good luck! Osmiroid 65 pens have a threaded section. Gentle heat and soaking should work to open them. Nice article, John. I also am an Estie fan that re-habs my pens, and sac replacement is no big deal. But looking at those paper clips made me cringe. I have a few nib units that were encrusted with old ink, but they cleaned up ok. Wonder if alkaline or heavily saturated inks might be something to avoid? Thanks, Ray Hughes. Ray, could you please point me in the right direction regarding opening the old pens and replacing the sacs? Noel, I’d suggest an internet search related to your specific pens. There are also some pretty good generic You-Tube videos out there. Good luck! This is super useful information. I bought into the fear mongering that’s present about what inks are appropriate. I got concerned enough that I thought I didn’t have any safe/appropriate inks. This definitely helped assuage my fears. Glad to hear it, Em! I’ll admit it sounds pretty scary when you start to research it. I still have second thoughts before using some inks in some pens, but mainly because I don’t remember which ones I’ve replaced the sacs in and which ones are original. Thanks, Ray and John. I’ll do as you suggest. Great study. I have used vintage sac pens for over 40 years, most of them I restored. I only had one melted sac from Iroshizuku Yamabudo. My theory is the sac may not have been cured properly. I have not repeated the combo with a new sac. I’ve had Apache Sunset in my Parker Jack Knife for years, no issues. 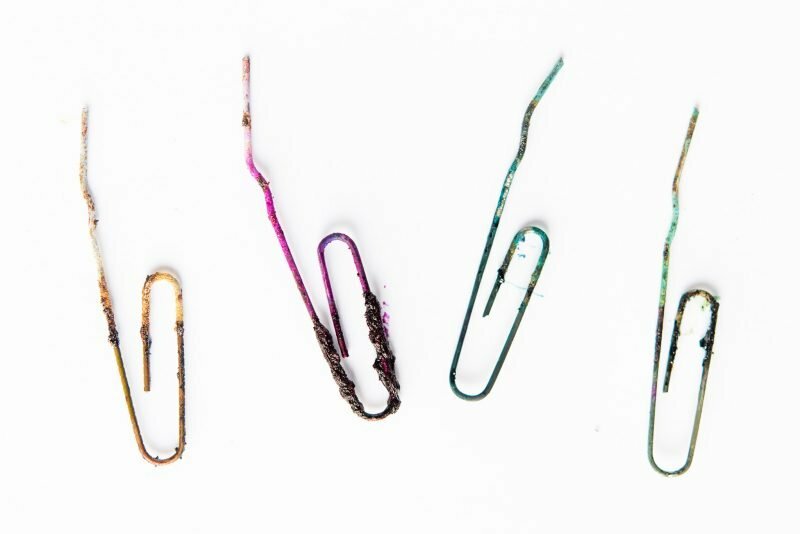 The paper clips are steel with a thin plating if any, not designed to survive a corrosive environment. We have all seen vintage steel nibs (not the modern stainless steel ones) attacked by an ink a previous owner used. That is one reason why gold nibs were popuplar, corrosion resistent & looked good. That’s really interesting that you’ve only had one incident in over 40 years. Sounds pretty safe overall. Thanks for sharing your experience, Chris! 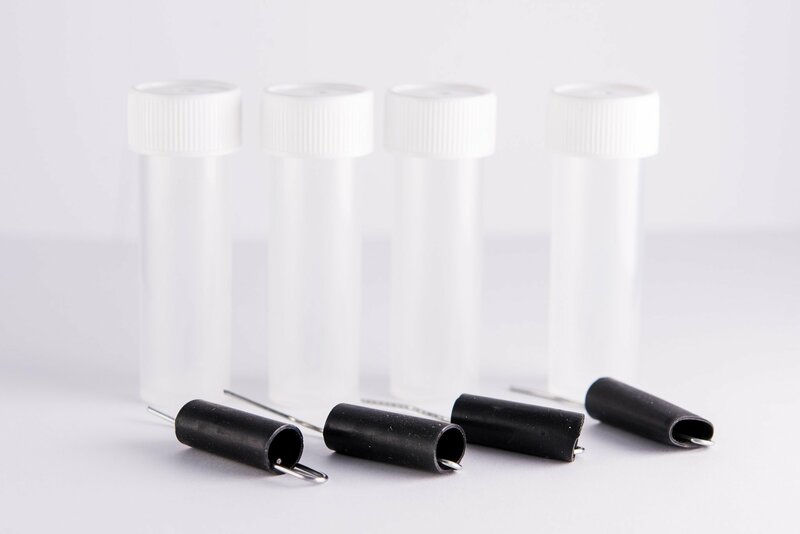 Maybe you need evaporation so the alkaline components get more concentrated? Old fountain pens were not that air-tight (or so I heard). Appreciate you great research on rubber sacs. This is the first of its kind. Also excellent supporting photos. Thanks so much for reading and the kind comment. Glad to have you here!